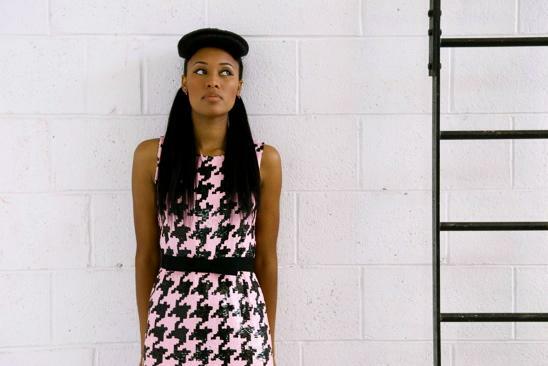 • SPEEDING towards the charts with her new album Travelling Like The Light is hot tip VV Brown. The singer combines Elvis style rock and roll with modern R&B and soul on the album, which was released this week. • Star in the making Mr Hudson releases his new single Supernova on July 20. The track, taken from the impending album Straight No Chaser, is a stunning collaboration with rapper Kanye West. • Movers and shakers in the rock world The Rumble Strips have a new album in stores this week. Welcome To The Walk Alone is the group’s second album, and features production work by Mark Ronson. • Colourful artist Pink’s new single Funhouse is to be released on August 3. The track is fourth song to be lifted from the album of the same name. • Hotly tipped teen Daisy Dares You has put out a free track ahead of a full album release later this year. • DJ turned singer songwriter Fink releases a new single this week. Sort Of Revolution, the title track from his brilliant new album, features a B-side remix by the Cinematic Orchestra. • Lighten up! The new single from The Heavy is out. You can pick up the sweet Sixteen, taken from the fortchoming album The House That Dirt Built, from this week. • Britney Spears is back on the Radar – with a new single. The track, from her album Circus, is out on July 27. • Cool cats will already be waiting to pounce on the new album from Cougar, which is out on August 24. The brilliant new band’s album, Patriot, sees them pushing the genres of metal and electronica to new heights. • Spinnerette, the new band fronted by The Distillers’ Brody Dalle, has released a new album. Stoner rock stomper Spinnerette, which features the track Ghetto Love, is out now.